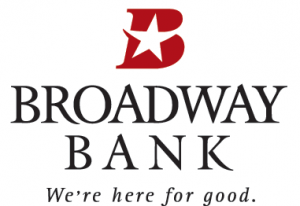 Broadway Bank has 39 banking centers in San Antonio, Austin, and the Hill County in Texas. Their offerings include business checking accounts, lending services, treasury solutions, business retirement planning, and more. They have an A+ / BBB rating and generally positive reviews online. Broadway Bank has 39 banking centers in San Antonio, Austin, and the Hill Country in Texas. You can use their branch locator to see which locations are closest to you. Broadway Bank also offers the following business services: business and SBA loans, business credit cards, lines of credit, commercial real estate financing, and wealth management. Although they have personal savings and money market accounts offered, they currently do not offer business savings accounts. Find out more about their small business offerings on their website.